It’s a striker’s job to score goals. In an age of all-round forwards and false nines, it can be easy to forget that. Romelu Lukaku is never going to be the type of player who will be assessed on how well he brings the best out of strike partners or incorporates team-mates into attacks. For a No. 9 like that it’s not just the quantity of goals that is being judged. Lukaku in that regard has nothing to hide behind. There are not other aspects in his game that people will point to and say he’s doing this well. He’s put himself out there as a goalscorer; the way he plays his football demands that he be judged on his numbers alone. Anything other than goals will be seen as a bonus. Whether he’s scoring or not scoring, Lukaku plays exactly the same way. Either the ball goes in or it doesn’t. When it does, the fans sing his name. When it doesn’t, well, that’s when he comes under scrutiny. The appointment of Ole Gunnar Solskjaer appeared to boost everybody at Manchester United other than Lukaku. The striker who initially best played his way into form under the new coach was Marcus Rashford. While Lukaku played the last game of the Jose Mourinho regime – that battering at the hands of Liverpool – by the time Solskjaer returned he was unavailable due to personal issues. That gave Rashford the opportunity he needed to play through the centre and impress. He showed that he could do it after years of a certain kind of oppression under Mourinho. While he was seen as the coming force under Louis van Gaal he was powerless to prevent Mourinho spending untold sums on fees and wages for the likes of Zlatan Ibrahimovic, Lukaku and Alexis Sanchez. But when his time came, when the coast cleared, Rashford proved himself. Quite where that was going to leave Lukaku was an issue for another day. But if any manager knows the merit of having more than one striker in form – and keeping them all on their toes – it’s Solskjaer, who had to vie with Andrew Cole, Dwight Yorke and Teddy Sheringham during United’s treble season in 1999. What’s better than having a hot striker? Having two or three of them of course. Lukaku was eased back into action in the new year and the value of that sparse usage can be seen now when United have had players dropping like flies. But through it Lukaku lost his rhythm. He had been scoring spasmodically under Mourinho earlier in the season and was not showing adeptness at taking his opportunities under Solskjaer when he was getting into the Norwegian’s team. Incredibly that led to question marks over his future. For a player worth over 110 Premier League goals – by the age of 25 – that was eyebrow-raising. Lukaku is a proven Premier League and international striker, all he needed was trust and rhythm. The signs were there in that classic away performance at Arsenal. Lukaku has featured wide on occasion, playing expertly there for Everton against the Gunners in 2014, and again under the same manager Roberto Martinez for Belgium in the World Cup against Brazil. And on that night in January he demonstrated his prowess again and perhaps solidified his reputation in the eyes of the manager. He didn’t score but gave two brilliant assists, an extremely rare occurrence for a player of Lukaku’s profile. Solskjaer delivered a game plan which catered to one of Lukaku’s strengths, where he could spring quickly on the break. But it’s taken him a little bit longer to get back into the goalscoring groove. A nine-game dry spell is a veritable drought for a player who thrives on goals like Lukaku does. After doing a commendable job for the team in the 0-0 draw with Liverpool it was time for the floodgates to be flung open. He got his start for a makeshift-looking Man United in the away victory at Crystal Palace. On paper it looked like a tricky fixture but Lukaku’s goals either side of half-time certainly helped dispel any doubts. Lukaku had rediscovered his confidence and that preceded another match-winning display against Southampton last Saturday. The measurement of both finishes in that game were spot-on and he could have had a well-deserved hat-trick if Paul Pogba had offered him the penalty in injury time. This has been the time of the season when United needed Lukaku most. Alexis Sanchez has yet to ripen and may never. Anthony Martial is injured and relieving the burden on Rashford is necessary. 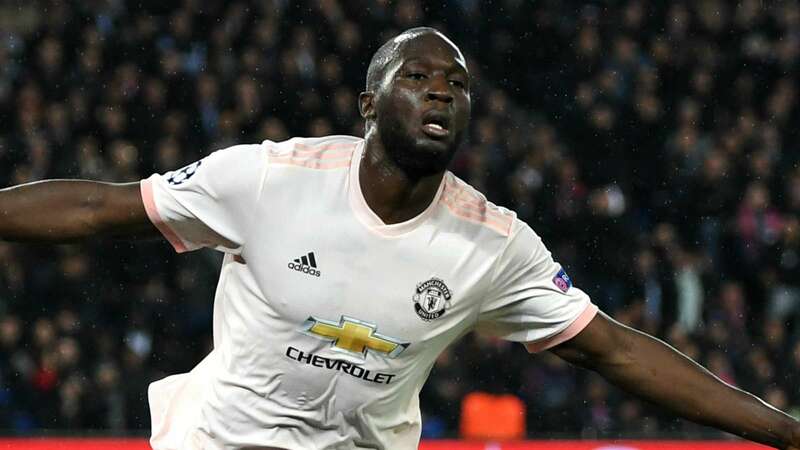 United were facing a totally hopeless situation midweek against Paris Saint-Germain and Lukaku stood and delivered. The first goal in any game is crucial and can set the tone for the rest of the contest. Back in August, Lukaku rounded Hugo Lloris in the Spurs goal and placed his wide-angled shot wide of the target. Had he scored that there would have been few doubts that a Jose Mourinho team would have shut up shop and sealed the points. But he missed and United couldn’t capitalise. They were demolished and Lukaku’s missed chance became a footnote in the game. Against PSG he didn’t make the same mistake as he did against Spurs. There were barely two minutes on the clock when he manufactured the chance for himself and he greedily took it. United were on their way. For his second he carried out his task like someone who believed the goalkeeper would cough up the ball. He was rewarded for his gamble. How often we see strikers out of form avoiding putting themselves into those situations for fear of missing chances. Not Lukaku. The prospect of scoring always outweighs the terror of missing. He will keep going. An enormously headstrong professional, the criticism bounces off him like a centre-back. He will play the same way – even when he’s out of touch – until the tap comes back on. Solskjaer deserves credit for assembling a United unit with a greater sense of purpose in attack – an attack which gets in and around Lukaku and gives him the benefit of having the ball close to the goal. But Lukaku has been the master behind his own return to form.